You’re proud of your home and take care of it. Having a great lawn certainly increases the curb appeal and instills a sense of pride. When you are looking for exceptional lawn services in Falls Church, VA, look no further. Hiring Clark’s Landscaping is a great way to keep your lawn looking great every day. In order to properly maintain your lawn, it takes time and commitment. After working hard all day, it’s difficult to think about coming home and working some more. Our company can free you from this time commitment so you can spend time relaxing with your family. Apart from doing your lawn, our experienced team can also provide professional landscape design. Our designs give your property a more refreshed look and increase the use of your yard space. If you have a vision, we can come up with an aesthetic design. 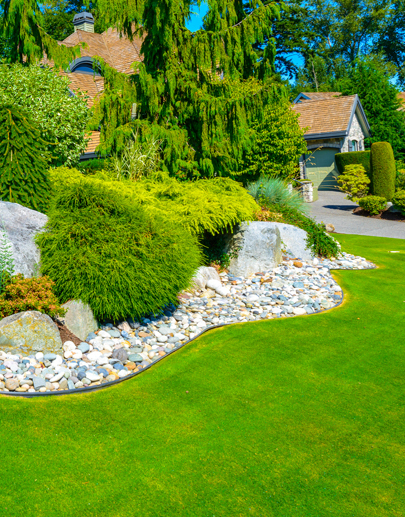 Our talented, intuitive landscaping contractors have the experience to make all your ideas become a reality. We are committed to working with you every step of the way to ensure the design is something you want to come home to. Your home is an investment, and you’ve worked hard for it, so your satisfaction is number one in our minds. We realize that tree trimming or pruning is aesthetically pleasing. However, there are many long-term benefits to this service. For example, removing dead branches from your trees actually improves their health because it helps eliminate decay and increases the amount of sunlight and air that circulate through your tree’s canopy. Plus, regular pruning keeps dangerous limbs from breaking off and harming people or your property. No matter what you plan on growing in your yard, you need healthy soil. There are many ways to improve your soil’s health, but one of the most important factors is to invest in organic lawn treatments. This reduces the amount of pollution in the soil so it can retain the nutrients your plants need. Our professionals are soil experts. In some cases, the products you use on your lawn are not the issue. Rather, it’s the compaction of the soil that makes it difficult for plants to thrive. This is where our aerating services come in. During this treatment, we perforate the ground to allow water, air, and nutrients to reach plant roots more effectively. 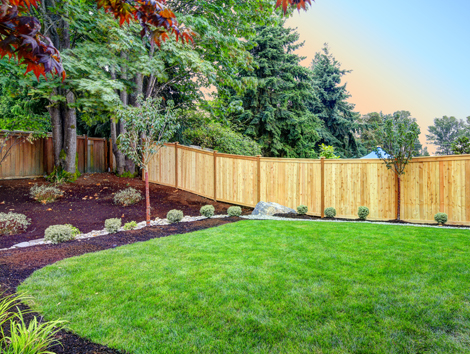 No matter which yard or property project you are undertaking, our company is qualified to take on all your landscaping, lawn, and tree needs. We take pride in providing excellent customer service and prompt attention to detail. Our guarantee to you is that if you are not completely satisfied, we’ll make it right. Contact our landscaping staff to arrange an on-site quote about your lawn care service. We serve customers in Falls Church, VA, and the surrounding area.